Tennesee CBC » What Is a SHEEF, and Why Should We Care? When the 14-day rule was put in place, laboratories were not able to maintain embryos beyond a few days, so 14 days was an acceptable limit to the decision-makers involved. Recent developments, however, have changed the research landscape, and arguments about changing the 14-day rule are being put forward. What would happen if you could treat human pluripotent stem cells (hPSCs) in such a way that they developed into an entity that resembled an embryo that is further along than 14 days? Would the 14-day rule apply? Some propose that new rules be developed to cover SHEEFs. Should science “set as its aim the creation of defective human life” that is intended for destruction? What long-term or unintended effects might classifying “novel versions of nascent human life as nonhuman” have in society? Would we be more likely to classify some others — perhaps those who have not met some particular standard of perfection — as “nonhuman” also? We do need to have a conversation about SHEEFs and a host of other “scientific” activities. It is a conversation about what it means to be human. Who qualifies as “my neighbor” in the human community? Is it only the scientist in the lab coat, or is my neighbor also the microscopic being in the petri dish? Do you find embryology a mystery? You are not alone. This video should clear things up a bit. Start by clicking the above image, then scroll down the page to find the video on the left. (Although the copy is in Swedish, the video is in English.) 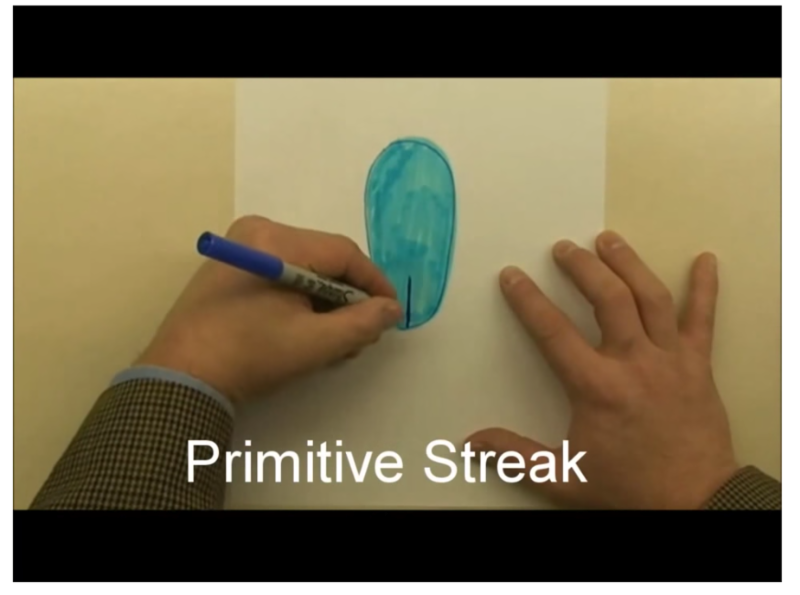 The primitive streak is explained at ~minute five.